If you follow Search Engine Journal or other SEO news sites, chances are you’ve heard about how Google’s been expanding the reviews content that appears in the Knowledge Panel for local businesses. Google has always included their own Google+ reviews, but earlier this year they added in critic reviews from select publishers. The most recent change now includes user-generated “Reviews from the web” which displays ratings from sites like Facebook and Yelp. What does this mean? 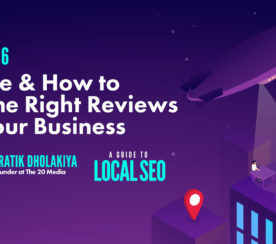 Reviews matter more now than ever for your local SEO strategy. Third-party reviews are acquiring more space in search results, even when users aren’t even searching for reviews. A potential customer or future hire may simply be searching for your location, and now the reviews are more visible to them and likely to influence their decision of working for or with you. Before you freak out, figuring out an online reviews strategy is manageable, and I’m going to help you do it in this article. With the multitude of review sites out there, how do you determine which sites you need to focus on? It’s pretty simple, actually. Goal: maintain your current rating, get a rating, or improve your rating. 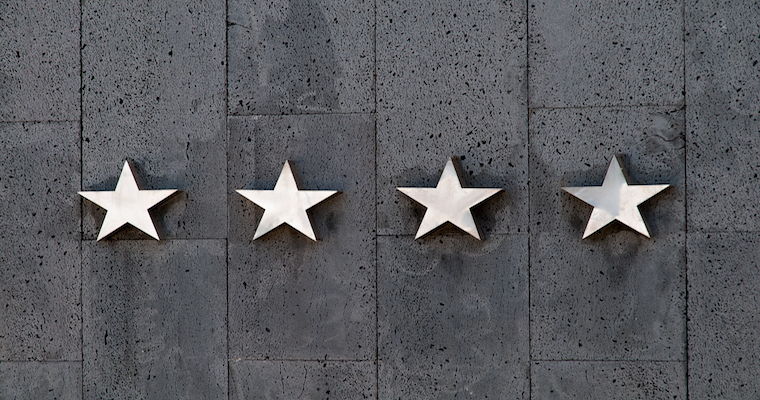 Note that a good goal for ratings is between 4-4.5 stars – customers are wary of too-perfect 5-star ratings. Remove any that aren’t actual review sites (blogs, etc. ), and you should end up with a sizable list. Focus your efforts on the sites that appear in the top three spots for each search or that appear in multiple searches, and especially prioritize the ones where you have a less than stellar rating. These sites in the top three are the ones that customers are most likely to see or click on to learn more about your business, so that’s where you need to spend your efforts boosting your ratings. 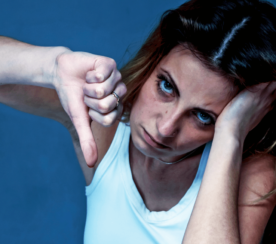 You can’t do much (besides doing a good job in the first place, and responding courteously to feedback) about the folks in group three, but you want to make sure that your reviews don’t drive away the people in groups one or two. Do you send customers a thank you email after you’ve completed a service or they made a purchase? This is a good spot to incorporate a link to the review site and ask your customer to provide a review. If you have an online business, or offer your service via your website, why not add a pop-up after a positive transaction? At HostGator, the company I work for, we offer 24/7 live support via online chat. 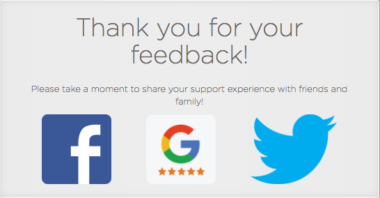 When we successfully solve an issue and the customer is happy, we serve a pop-up that asks them if they wouldn’t mind giving us a review on Google+. If you’re a brick-and-mortar location such as a restaurant, nail salon, or hardware store, you may want to have an iPad on hand and bookmark the various review sites to your home screen. After you’ve provided the customer with an outstanding experience, and you can visibly see how satisfied they are, consider asking them if they’ll jot down a quick review right then and there. The one caveat with this approach is you want to make sure you’re not being too pushy, or asking in a way that ends up putting a blemish on the experience for them. This is a popular option, as it helps you get more online reviews with the bonus of increasing your social engagement. You can give away one of your own services or products for free, a gift card, or (if you don’t have a tangible product) something universally liked such as an iPad. Ask people to review your company as an entry into the giveaway, and select a random winner each month. Be thoughtful of FTC guidelines with social promotions – Social Media Examiner has a good guide. Once you begin gathering reviews, you’ll likely realize they gather momentum on their own. Put in the effort now to develop a strategy, target a few sites, and ask your happy customers to review, and your ratings (and SEO) will improve in no time. Screenshot by Amelia Willson. Taken September 2016.